Features 112° wide-angle professional grade lens and Bidirectional Rotation range. 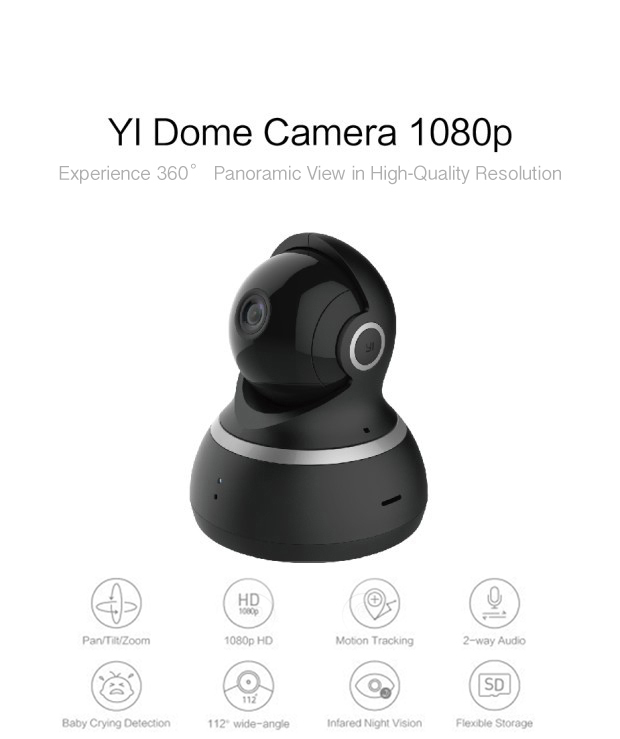 YI Dome Cam 1080p records and captures complete panoramic scenes in High-Definition with practically zero blindspots. 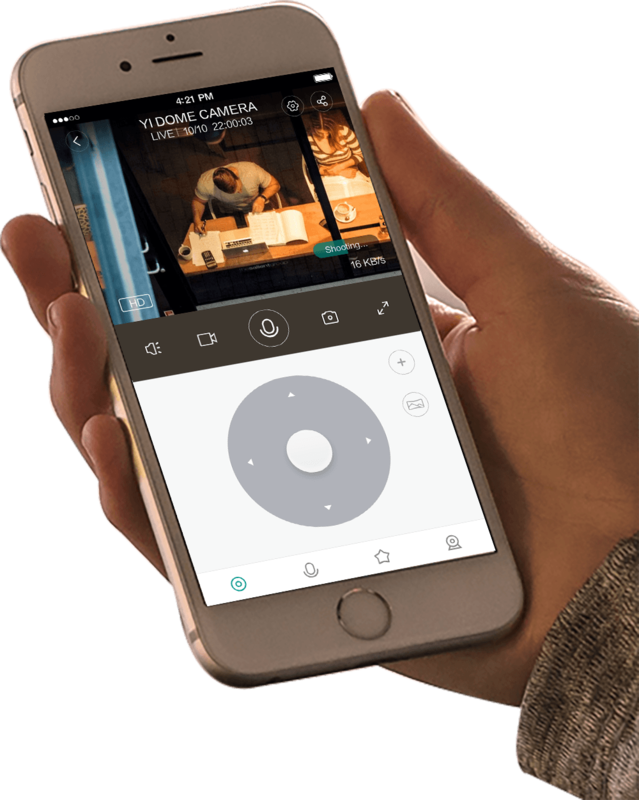 Automatically returns to “Auto-masking" mode (lens goes under cover) for extra sense of security ensuring no recording without your permission when not in use. 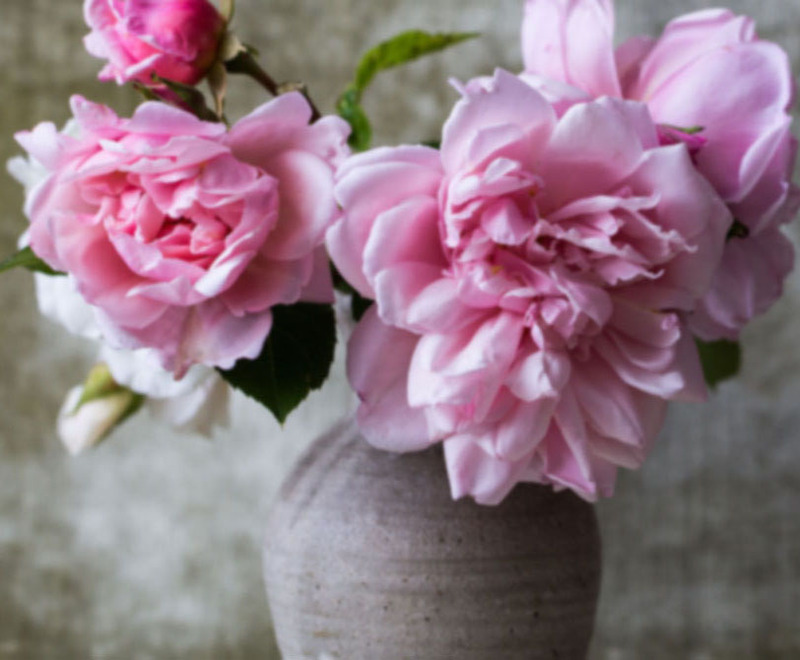 High-definition image quality is crucial to monitoring your home when you're away. With 1080p HD quality and 2 million pixels in just a simple tap you can zoom (up to 4x) and see even the smallest details. Our intuitive Navigation System puts you in full control of your house at any angle, any way you like! You can even take a Panoramic Image of your house. 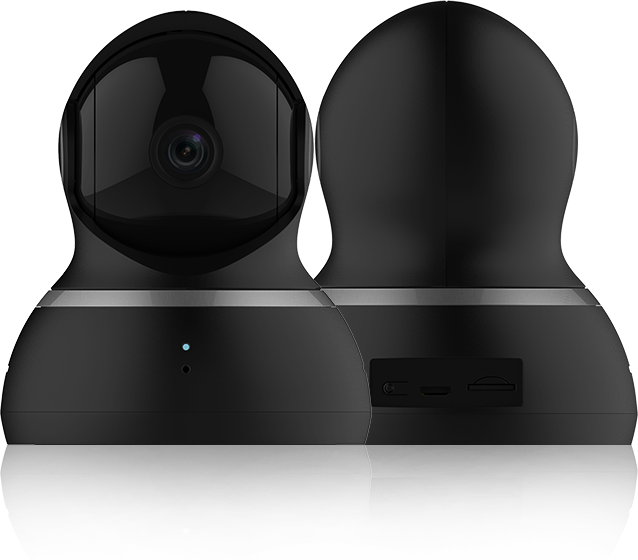 View YI Dome Camera 1080p along with your other YI Home Cameras in one integrated app. Advanced motion algorithms detect moving objects and automatically captures and tracks their movement trajectory. Smart motion tracking keeps up with everything, so you don’t have to. 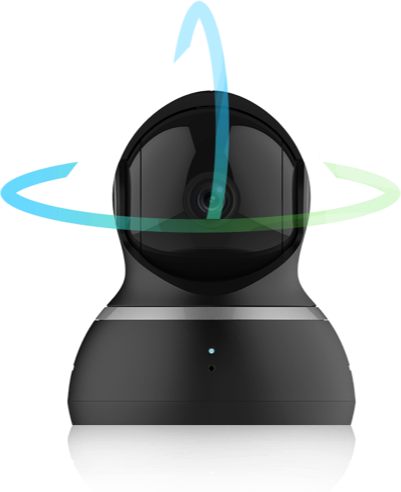 Precise Motion Detection is the camera’s safety hallmark. Any slightest movements are accurately picked up and alert you immediately. Innovative audio identification of baby crying sound. Through audio identification technology, the camera can identify the mood of the voice and send alert to you when your baby is crying. To distinguish itself from other alerts, "Baby Cry" will be displayed as the alert message. Local and Cloud Made Available Just For You. 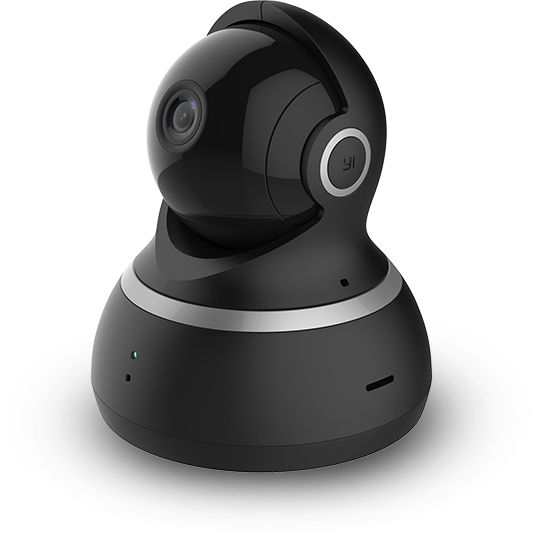 YI Dome Cam 1080p loop records motion detected or continuous videos on local storage (Class 10 and above MicroSD card sold separately). A 32G MicroSD card can hold up to 80-hour-long video of continuous recordings. Double the assurance by securing your video on our YI Cloud. Quick and versatile installation. Place YI where it suits you best. Hang it on the wall or mount to the the ceiling. Two microphones for symmetrical appeal. Place YI where it suits you best.